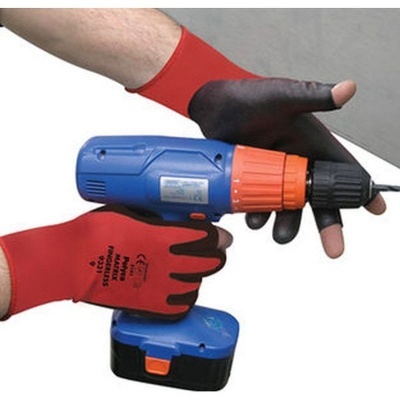 The Polyco Matrix Fingerless Work Gloves 933 are a durable, dexterous pair of fingerless work gloves that offer a close, snug fit to ensure perfect delivery in precise and tactile applications. 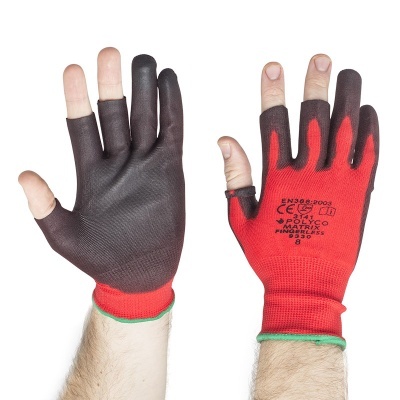 Designed with a polyurethane coating to protect against abrasions, cuts and tears, these fingerless gloves are a top pick when searching for gloves that demand total control. The Matrix Fingerless Work Gloves are available in four sizes that should suit the hands of most users. Please measure the circumference of your hand around the knuckles (excluding the thumb) with your hand open and your fingers together, and the length of your hand from the tip of your middle finger to your wrist.